The cost of acquiring personal injury cases, irrespective of the referral fee ban, is around £700 – £200 more than the government is proposing for routine road traffic claims even before the legal work is factored in, according to new research. Andrew Otterburn of Otterburn Legal Consulting also suggested that the changing insurance market means it may make sense for insurance companies to bring the legal work around claims in-house. 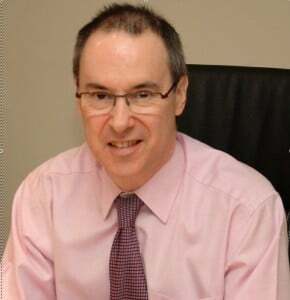 The report – commissioned by the Association of Personal Injury Lawyers – sought to examine the argument that the referral fee ban in April means the fixed recoverable costs paid to solicitors can be substantially reduced, with the Ministry of Justice proposing that the fee for a low-value road traffic case going through the RTA portal should fall from £1,200 to £500. It concluded that “unless firms are able to cross-subsidise, they will no longer be able to do this work profitably”. Mr Otterburn argued that the term ‘referral fee’ has been applied very widely to embrace “marketing expenditure which is universally accepted as normal in the course of any business”, as well as paying for specific cases. The ban is targeted at the latter practice. He looked at a range of firms that bring in work in a wide variety of ways – from a traditional firm with just a fee-earner and secretary in its personal injury (PI) department that spends nothing on marketing to a niche PI practice with 300 people and a marketing spend of £3.2m, hardly any of which is for buying in work. Acquisition costs averaged out at about £700, from £200 at the bottom to £900 at the top. The firm that spent nothing on marketing is planning to close the department this year because work levels are so low. It is generally accepted that routine RTA portal cases require around 10 hours of work. “All businesses undertake marketing and there is a cost in acquiring all new customers, and in many cases it is substantial,” the report said. Mr Otterburn said research from 2011 indicated that an insurance company might be paying as much as 51% of the premium in acquisition costs, with an overall average of 27%. Lower profitability of business generated via comparison websites, and in particular the issue of falling retention rates and insurance company brand loyalty. 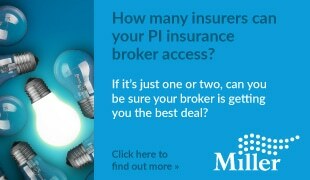 If most PI lawyers become unable to accept low value cases that will be processed via the claims portal, liable car insurers, as a better alternative to third-party capture, may demand that these cases are brought through the portal knowing that this will be a significant impediment to access to justice for many of them. Well done to Andrew for finally giving a fair and unbiased evaluation as to the costs of aquiring Personal Injury Cases. It seems that everyone has lost sight of the fact that whilst a referal fee includes an element of profit for the Claims Management Company/Referrer it also includes a substantial fee for Aquisition of the case in the first place. All CMC’s have a marketing budget, spend their money upfront taking all the risk and the profit made by most is relatively moderate in contrast to the fee charged which has obviously be scandalised as TOTAL PROFIT to the CMC. 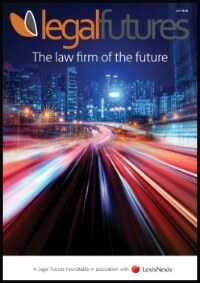 Whilst there is a cost to a law firm for acquiring a client the cost is variable and driven entirely by market forces. The price of acquisition is £700 because that is the figure that the more efficient firms have available to pay to acquire a case. If the efficient firms had only £50 available to acquire a case that would become the cost of acquisition. A provider needs to be able to charge a fee that covers his cost of providing the will, his acquisition cost and a profit. In RTA the fee is £1200, the cost of service is, say £450, a reasonable profit of £50 leaving potential super profits of £700. BUt you still have to acquire the case. Competition for cases means that the cost of acquisition has been driven up to £700. The most expensive word on Google Adwords worldwide is “Mesothelioma” at over $100/click. The reason being that US lawyers make a great deal of profit from each client. The argument put forward by those in favour of the status quo is rather like Criminal Legal Aid lawyers complaining about legal fee rates beacuse they are not high enough to allow them to cover their TV advertising costs. Good job to Andrew for giving a fair and unbiased evaluation as to the costs of acquiring Personal Injury Cases. Hope all lawyers will follow him.